Over the years, we have been privileged to stage events all over the world. Each event brought its own challenges and solutions, as well as a unique location to build upon. Sometimes our engineers are given a site survey showing a large field and relatively flat land for staging outdoor concerts and festivals. But more often than not, this is not the case. Take a look at some of the more unique locations that we have built our staging systems at. Instead of remaining “adapted” to a particular process and structure, you may be surprised at how much we constantly adapt. 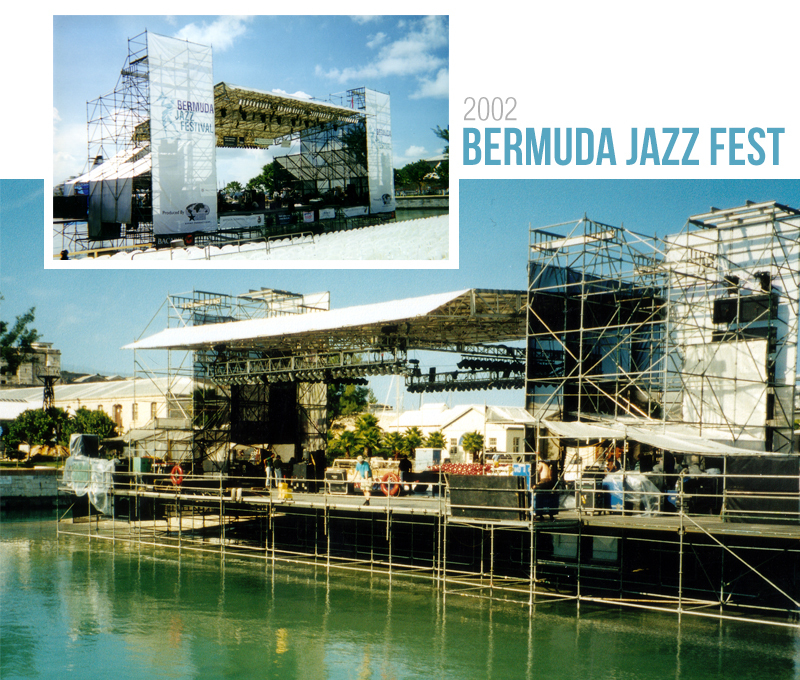 Mountain’s been staging the Bermuda Jazz Festival for the past several years, and in 2002, our stage was placed right over the water at the western tip of the island. Our scaffolding extended underwater, and in turn created a unique environment for jazz enthusiasts to enjoy the show by the waterfront. One of MTV’s more popular promotions in the past has been its Spring Break event. 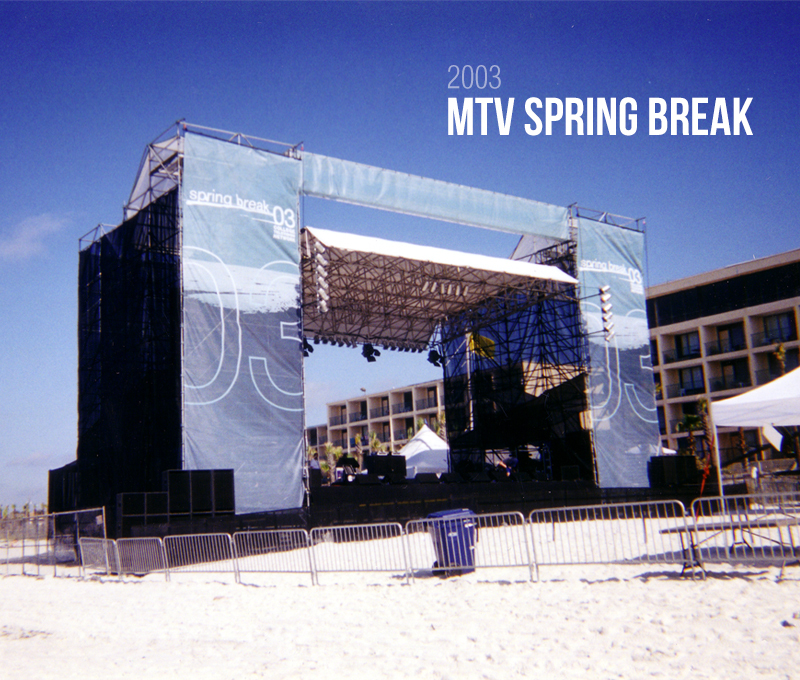 In 2003, Mountain built a stage in Panama City Beach for MTV’s Spring Break, which sat directly on the beach. It’s hard enough to gain stable footing on a sandy beach, let alone build a stage on top of sand. 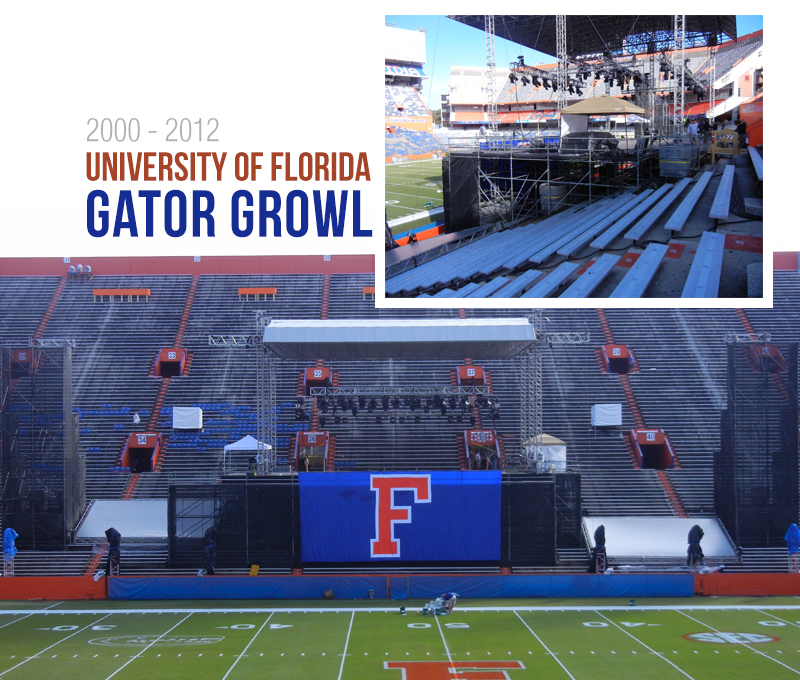 The University of Florida’s Gator Growl is often hailed as “the largest student-run pep rally in the nation.” Mountain hauls its staging equipment to U of F’s football stadium, and constructs the system on top of the bleachers. 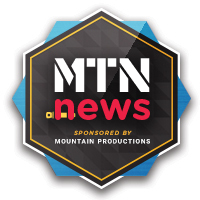 Mountain set up a permanent stage installation near the Columbia River in Quincy, Washington in 2010. 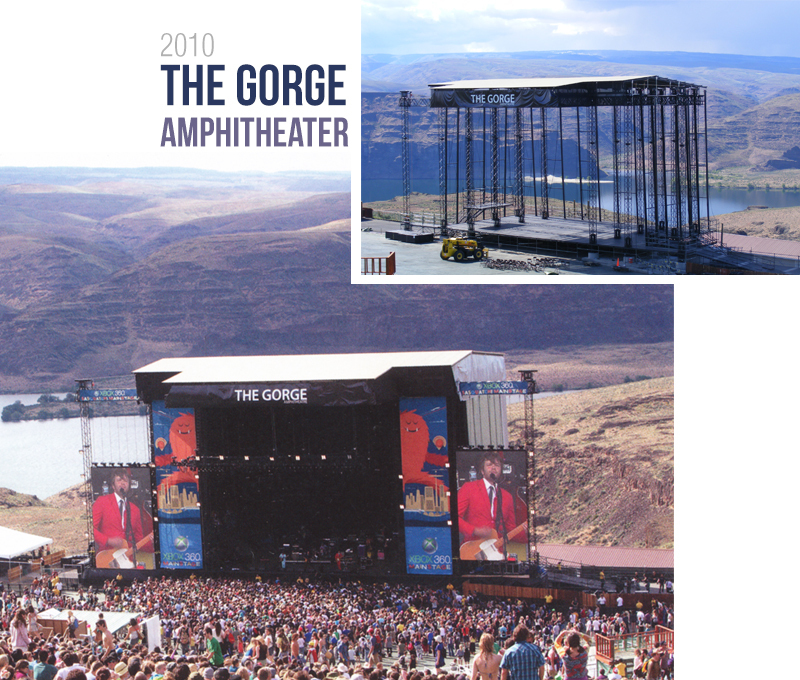 The stage, named the Gorge Amphitheatre, has an incredible view of river gorge views and lawn terrace seating (20,000+ seating capacity). Take a look at that view! The key to providing an amazing client experience (that results in an unforgettable audience experience) is to listen to the expectations, dreams and ideas and work towards a way to make them real. Adapt your staging to fit your event, not vice versa.